Manly Peak S90V — First glimpse at a Bulgarian Wonder. Thanks to my friend Dan Sharpe I had ordered a Manly Peak directly from the manufacturer in Sofia in Bulgaria. Having the choice of steel I had clicked on S90V but a D2 Tool Steel and CPM156 versions are also available. For a D2 version it will cost you around 50 euros with shipping. This is a beautiful folder. 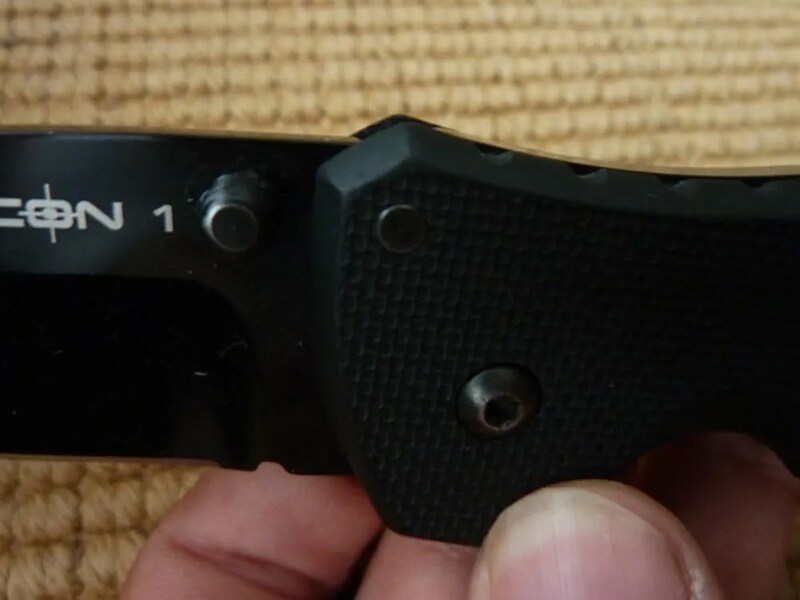 Two keys are provided for pivot adjustement and pocket clip placement. It’s a wonderful industrial knife with a lot of attention to details. Something I immediately love: the blade’s spine is all smooth. No guards but some jimping under the pivot. 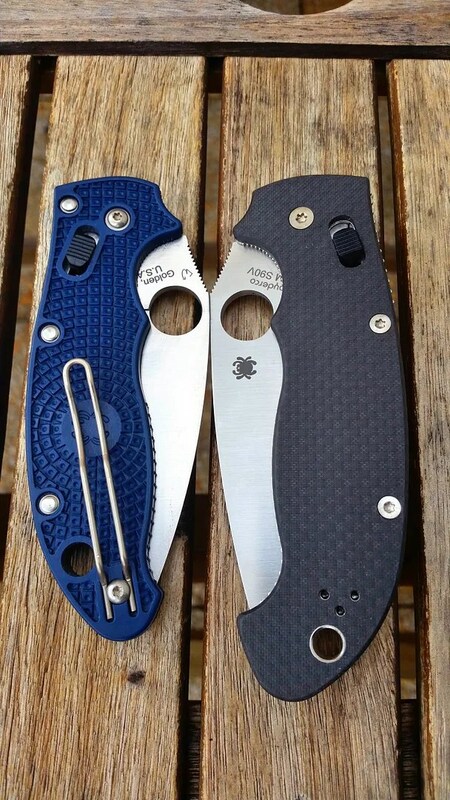 The hole seems oval which means this is not a Spyderco licence. Let’s have a look. The blade is perfectly centered. Don’t forget we are talking here about a 40 euros folder. The deep clip is trademarked and beatblasted. The oval opening hole… and the sharpening choil (indentation). This is S90V which is the king of powder metallurgy. Thin and alive in the hand. You can notice the jimping under the pivot. Deep carrying with a long and easy to pocket clip. Attention to details here with the name of the model on the lock. The clip pad on the other side of the handle is screwed inside the steel spacer. 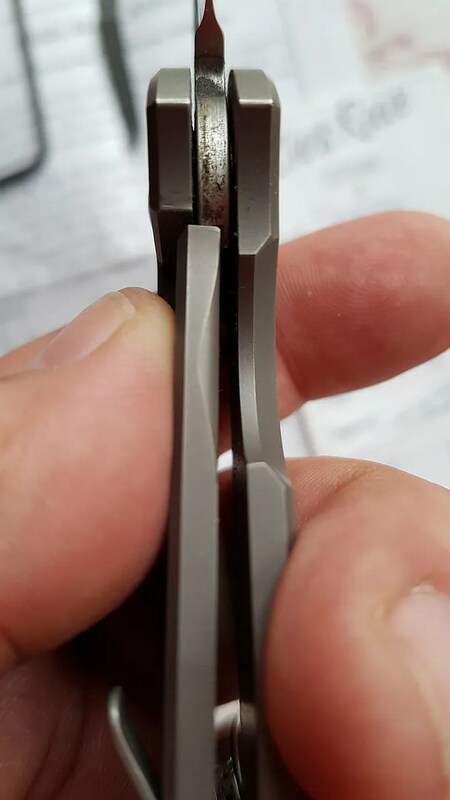 The liners are skeletonized and nested inside the G10. The knife is light and well balanced. The sweet point is between the lock and the lock screw. The adjustment is top notch with the G10 slab chamfered on both sides. The liners are invisible as they are nested into the G10 slabs. Size comparaison with my mighty Millie. So far I’m really impressed by this Bulgarian wonder. Mine (in S90V) is around 80 euros shipped. I have also ordered a slip joint Comrade which should be arriving soon. More to come as now the Bulgarian game is on. Here is Part II. Posted on 03/01/2018 15/01/2018 Author nemosandmanCategories Folders, ReviewTags Bulgaria, CPM S90V, Manly, nemoknivesreview, Nemoknivesreview.com, Peak, Sofia2 Comments on Manly Peak S90V — First glimpse at a Bulgarian Wonder.